What if you could go back in time and change the course of history? WHAT IF the watershed moment you could change was the JFK assassination? 11/22/63, the date that Kennedy was shot - unless ...King takes his protagonist Jake Epping, a high school English teacher from Lisbon Falls, Maine, 2011, on a fascinating journey back to 1958 - from a world of mobile phones and iPods to a new world of Elvis and JFK, of Plymouth Fury cars and Lindy Hopping, of a troubled loner named Lee Harvey Oswald and a beautiful high school librarian named Sadie Dunhill, who becomes the love of Jake's life - a life that transgresses all the normal rules of time. 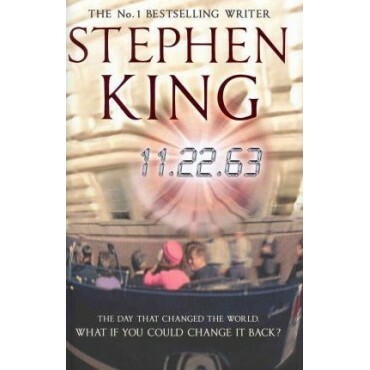 With extraordinary imaginative power, King weaves the social, political and popular culture of his baby-boom American generation into a devastating exercise in escalating suspense.